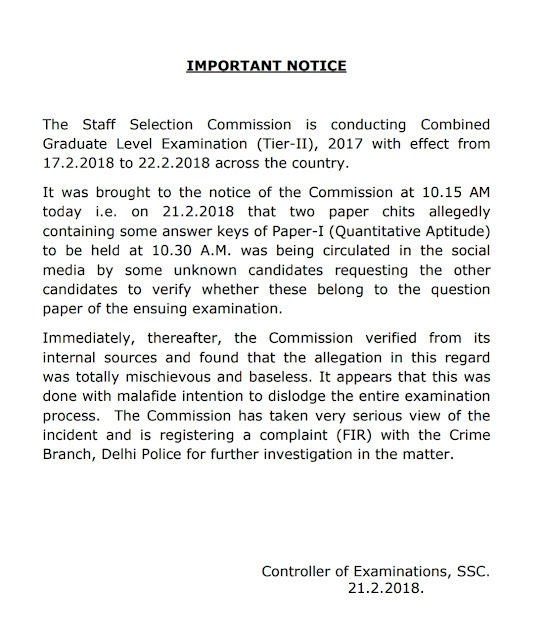 The Staff Selection Commission is conducting Combined Graduate Level Examination (Tier-II), 2017 with effect from 17.2.2018 to 22.2.2018 across the country. It was brought to the notice of the Commission at 10.15 AM today i.e. 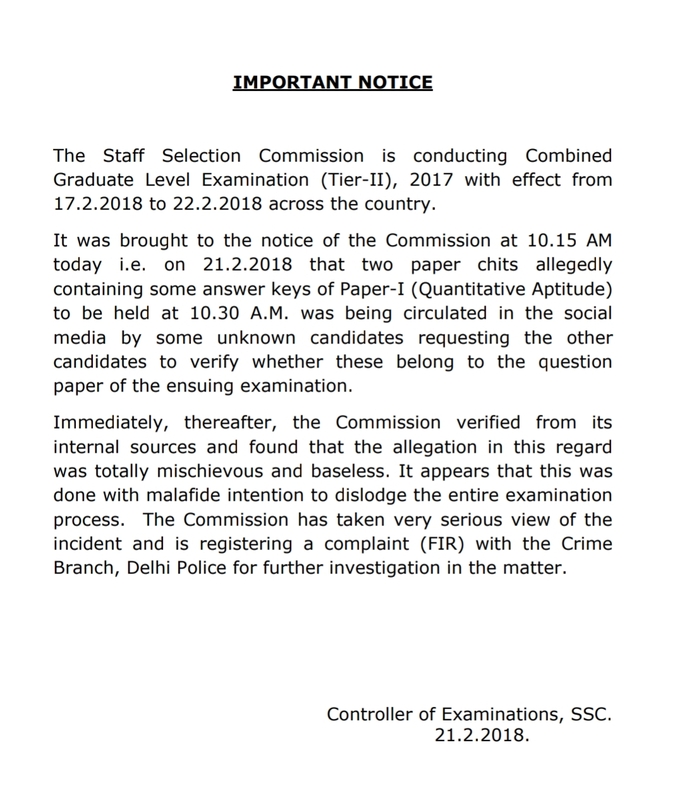 on 21.2.2018 that two paper chits allegedly containing some answer keys of Paper-I (Quantitative Aptitude) to be held at 10.30 A.M. was being circulated in the social media by some unknown candidates requesting the other candidates to verify whether these belong to the question paper of the ensuing examination.